Jacqueline Booker is grateful to have a roof over her head. Booker is the widow of a beloved retired local fire marshal. 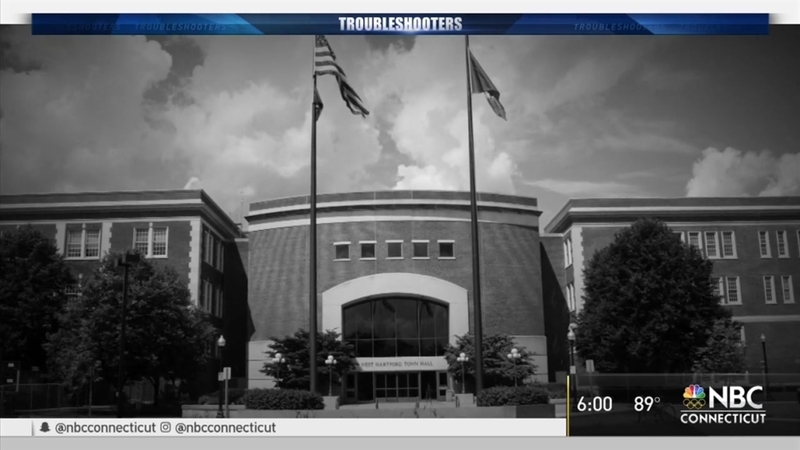 The 80-year-old reached out to the NBC Connecticut Troubleshooters when she and several other residents received a letter from the property management company of their Kane Street condos in West Hartford. The letter from Elite Property Management said that tenants had to leave as of Sunday night, August 7, 2016 through August 26, 2016 so the company could make repairs after a bad fire damaged the building in March. The letter reads in part, "The building and fire department are mandating that all 40 units have this work completed in them before they will allow residents to re-occupy the building." When she received the letter, Booker was panicking along with several other residents about their future living situation. “I don’t where I'm going, because my insurance doesn't cover Asbestos. I'm up in the air, and can't afford a hotel," Booker told NBC Connecticut Troubleshooter Jill Konopka when they first met. Booker is confined to a wheelchair and had nowhere to go. Booker reiterated, “I know there are people who can't afford to go to a hotel for three weeks." The Troubleshooters started asking questions, and took the letter to West Hartford town officials. "The fire marshal's office and building department have not ordered any work that would require you to leave your unit," read a letter to residents from Kimberly J. Boneham, Deputy Corporation Counsel for West Hartford. Had they, the town may have been on the hook to help with alternate housing. The repairs are required by the insurance company. It's a situation where condo owners should check their individual policies to see if they cover reimbursement. Booker says her insurer denied it until a manager at Elite Property Management called to double check. Booker moved into a hotel suite Sunday night, just before work began Monday. "Things right now are perfect. Couldn't be better, this is like my own apartment, I'm very happy,” Booker said. NBC Connecticut also contacted the Connecticut Department of Insurance. They're researching whether those residents may be entitled to reimbursement. For now, they want any residents with issues to contact them. Residents can reach Gerard O’Sullivan at Department of Insurance directly by email at Gerard.O’Sullivan@ct.gov or by phone (860) 297-3889. Booker is also the widow of retired Fire Marshal from Hartford and Bloomfield, Carl T. Booker. The Troubleshooters also reached out to HFD, they offered to provide transportation to Booker, to the hotel, but she was all set thanks to the help of Dial-A-Ride.